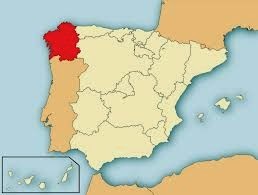 Tucked in the northwest corner of Spain is the region of Galicia. Santiago de Compostela, the political capital of the region, is the destination for pilgrims walking the Camino de Santiago across Spain, but La Coruña, the provincial capital, is a must-see unto itself. 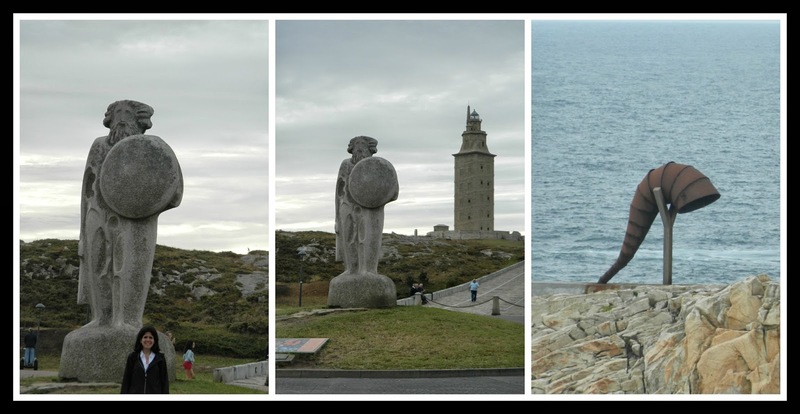 Located along the Costa de Morte, or Death Coast, the area around La Coruña is marked by quaint fishing villages, jagged sea cliffs and lighthouses. La Coruña is Galicia's second largest city overall, behind Vigo. It is a port city on a peninsula, whose history dates back to the second century BCE, when the original Celtic tribes were first visited by the Romans. Later, it is reported that Julius Caesar arrived in Coruña, around 62BCE, in search of a metal trade, hoping to establish commerce with Portugal, France, and England. Characteristic of Spain, much has changed since the visit of the Romans, but, much remains as well. 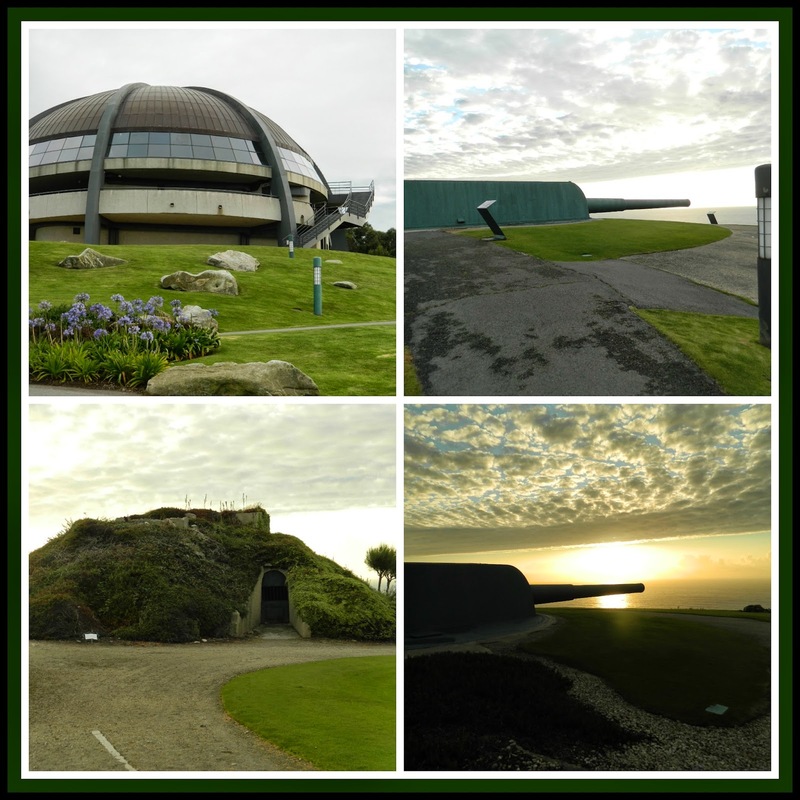 If you have the opportunity to visit Galicia, make your way to La Coruña, or A Coruña as it is called in Galician. La Coruña is a 6 hour drive from Madrid, but its airport serves most Spanish destinations, as well as service to and from London, Lisbon, Paris and Amsterdam; and its busy port disembarks more than 60 cruise ships per year. When you arrive, plan to visit these fun sites. The 180 foot (55m) tower is the oldest Roman lighthouse, as well as the oldest continually operated lighthouse in the world, believed to be in operation since the second century AD. Built under Trajan, it was named a UNESCO World Heritage Cite in 2009. The myth is that Hercules fought and buried the head and weapons of his rival, Geryon, and ordered that a city be built upon the site. Overlooking the North Atlantic Coast, the Tower offers spectacular views as well as an opportunity to meet this guy at the lower sculpture park. For even better views, especially at sunset, head up to the Mount of San Pedro. A former military fort, this park is accessible by funicular or scenic winding road with views of the Millennium Obelisk and a mosaic octopus, which plays homage to the beloved pulp gallego, the region's signature dish. And you can dine at one of Galicia's most famous restaurants, the Mirador de San Pedro. No visit to a seaside city or town is complete without a stroll along the beach. Paseo Maritimo, or The Promenade does not disappoint. One of the longest in Europe, this 9km walk (eventually 13km) offers both ocean and city views, including the city's beaches, Riazor and Orzan on the upper side of the peninsula. The port is on the lower side. The city's Plaza Mayor in the Old Town (Ciudad Vieja) is named after La Coruña's heroine, who is said to have climbed the city's highest wall to defend La Coruña against the English armada, led by Sir Francis Drake, in 1589, following her husband's death. Be sure to eat some seafood, including the signature pulp gallego or a tapa and albariño and listen to street performers playing Galician bagpipes, gaita galega. If you're up for a little retail therapy, check out the largest shopping complex in all of Spain and the third largest in all of Europe. Marineda City features anchor stores, such as Decathalon and Ikea, as well as entertainment, including bowling, and ice rink, go carts and a movie theatre. Fun trivia: La Coruña is House of Zara founder Amancio Ortega. You can visit the original store downtown. Galicia is often overlooked for the more temperate, sun-soaked destinations in the South. However, the staggering landscape, the kind and humble Gallegos, and the hearty and fresh regional specialties makes Galicia a must-see and La Coruña has it all. And it's not hard to imagine why. I absolutely love Coruña - shame I can't make it up there this summer! Thank you for your visit and for your comments. Octopus is a beloved creature in Galicia...but to eat, not for its alleged intellectual capabilities. The mosaic is lovely. :-) Thanks, again. I hope you come back soon. What a fun visit, so many cool things to see in Spain! Seems to be a hidden gem of Spain! I've never heard of the city but I would prefer it over the usual touristy spots like Mallorca & Co.! Oh so cool! I have never been to Spain but it's on my places to visit list! Spain has SO much to see and do. And, the great thing about Galicia, Rachel, is that it's still fairly undiscovered. It's so picturesque. There are so many places to explore...some of the best in the world. :-) I hope you get to visit. I love that mosaic octopus! I didn't know anything about this region except as related to the Camino; I think I'd love it! There's just something so special about seaside cities. The Camino ends in Santiago de Compostela and that's a great city as well. Octopus is a beloved creature in Galicia...but to eat, not for its alleged intellectual capabilities. The mosaic is lovely. :-) Here's another post I did about a small fishing village...another great port to explore. http://www.alovelylifeindeed.com/2013/11/malpica-de-bergantinosa-port-for-senses.html SO much to see and do. :-) Thanks so much for stopping by! This looks so fun. I love that octopus! Hi Sarah~Octopus is a beloved creature in Galicia...but to eat, not for its alleged intellectual capabilities. The mosaic is lovely. :-) Thanks so much for stopping by! Spain has SO much to see and do. And, the great thing about Galicia, Amy, is that it's still fairly undiscovered. It's so picturesque. There are so many places to explore...some of the best in the world. :-) I hope you get to visit. That looks like a great place to visit! I've been to Barcelona and Madrid. I wasn't even aware of this as a destination. Spain has SO much to see and do. And, the great thing about Galicia, Steph, is that it's still largely undiscovered. It's so picturesque. There are so many places to explore...some of the best in the world. :-) I hope you get to visit. One of my favorite parts of Spain! Thanks for this great post about it! The Tower of Hercules looks so cool! Would love to visit that! That octopus sculpture is amazing. What an amazing place to be able to experience! This looks like a wonderful place to take a vacation. I have never been outside of the USA, but someday I am hoping to travel. I hope you do get to travel abroad someday, Dawn. There is so much to see and do. People are wonderful. But, be warned...wanderlust is fatal. ;-) I am blissfully infected. Thank you so much for stopping by and for your comments. This looks like a wonderful destination.. Spain is one of the countries on my to go list... Thanks for sharing all this wonderful information. Hi Marlys~Spain has SO much to see and do. And, the great thing about Galicia, is that it's still largely undiscovered. It's so picturesque. There are so many places to explore...some of the best in the world. :-) I hope you get to visit. Great post! I'm currently living in Madrid, and have been dying to make my way up to Galicia sometime soon. 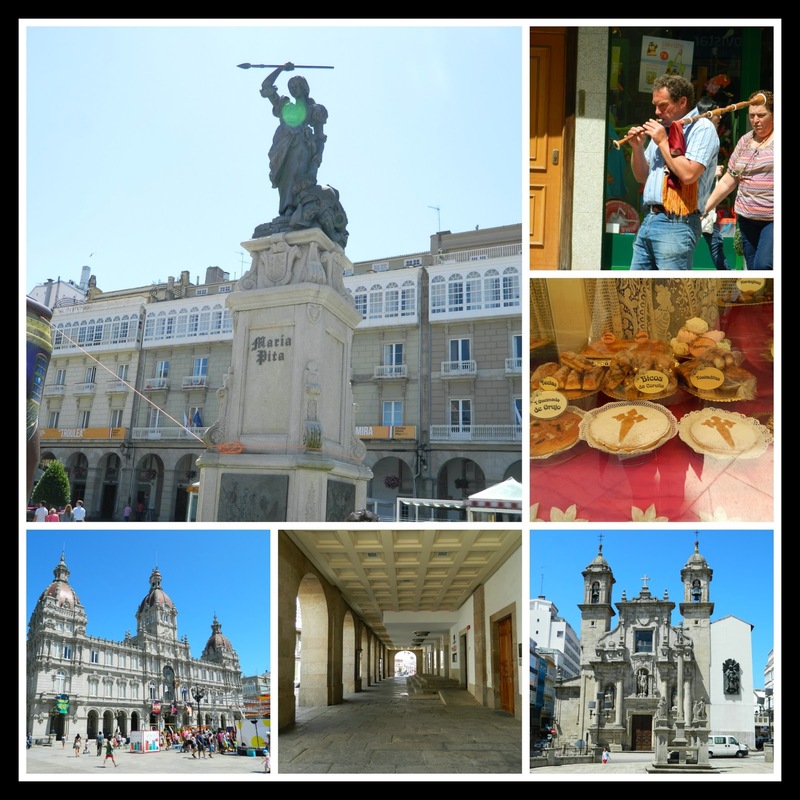 Everyone I've talked to has great things to say about A Coruña, so I'll be bookmarking this post for when I eventually make it there! Lovely pictures! I really like all the quirky sculptures you posted. I'm traveling to Galicia this summer and can't wait to see it all...and to eat some pulpo, of course! This is perfect timing!!! I think I'm going to be right near here for my race in Pontevedra! We're staying in Vigo, so I'll have to check this out. We leave next week and I cannot wait!!! I walked the Camino de Santiago last summer and we considered going to La Coruna at the end... Now I wish we had (even though Porto was great too). Great quirky sights, and that plate of pulpo is to die for! The octopus sculpture looks amazing! 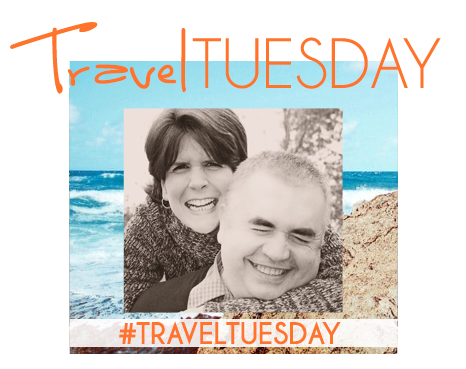 Love stuff like that :) Thanks for linking up to the #SundayTraveler! The octopus is a mosaic and so beautiful. :-) Thank you for the opportunity to link up.